The government has announced stricter immigration and citizenship rules to come into place after Brexit. Sajid Javid unveiled plans for a beefed-up “British values test” to replace the Life in the UK test for those looking to settle in the country. The home secretary, Sajid Javid, has been warned by Brussels that the UK’s own nationals will suffer if it introduces a post-Brexit immigration system that discriminates between European citizens according to their skills. Theresa May will today begin a ten-day diplomatic push to nail down a Brexit divorce deal in time for an EU summit deadline. 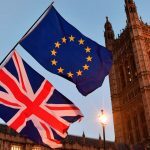 In the new immigration plan announced, tourists and business travelers from the EU would be required to obtain a pre-authorization to enter the UK. In contrast, millions of Britons may be required to apply for American-style visa waiver forms before going on holiday to European countries.